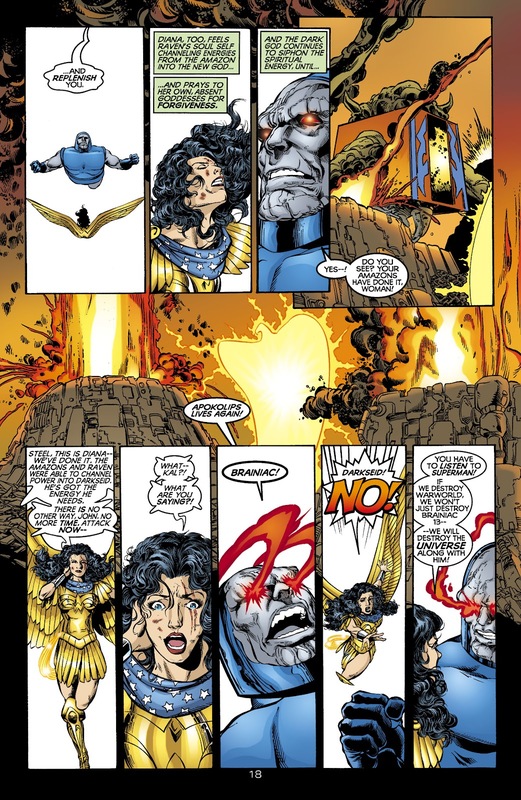 And yet, on a separate occasion, Superman "did" beat Darkseid and without the benefit of being so close to the sun. He even posted scans of it and your best come back is Darkseid stunned Superman with a backhand? Your point is exactly...what? Superman only did that after Darkseid hurt himself. Your "skyfather" Darkseid's durability must be pretty lame then because Superman has tanked Darkseid's omegas, which again is "skyfather" Darkseid's most potent attack, without undue suffering. Here is Superman tanking Darkseid's omegas in 5 different panels whereas according to you, Darkseid is deeply debilitated by a single hit by his own omegas. This is the entirety of the fight in Adventures of Superman #595 because after the last panel, Warworld interrupts the fight. This is a weakened Darkseid which was revealed in WW 173. At full power he was going to oneshot destroy Warworld and Superman with it until he was stopped. 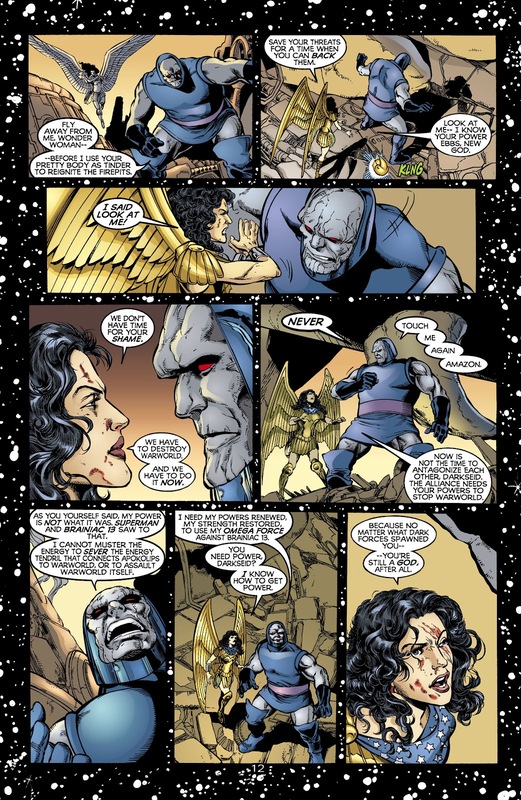 Without omegas, Darkseid beat Superman down under the same writer in MOS 116. Darkseid did momentarily beat down Superman down in Man of Steel #116, but that's helped by Darkseid using a blindside attack against Superman to start the fight, not to mention that Superman had just gotten through beating Kalibak. Superman is never knocked out and right after, Superman steals Darkseid's Entropy Aegis armor right in front of him. And Darkseid wasn't trying to kill Superman, just to capture him to use in Entropy aegis. Again, I think Darkseid should be depicted as a teambuster above Superman, but a lot of the time, he simply hasn't been as borne out by all these scans in prominent storylines. You mean the scans without any of the context?